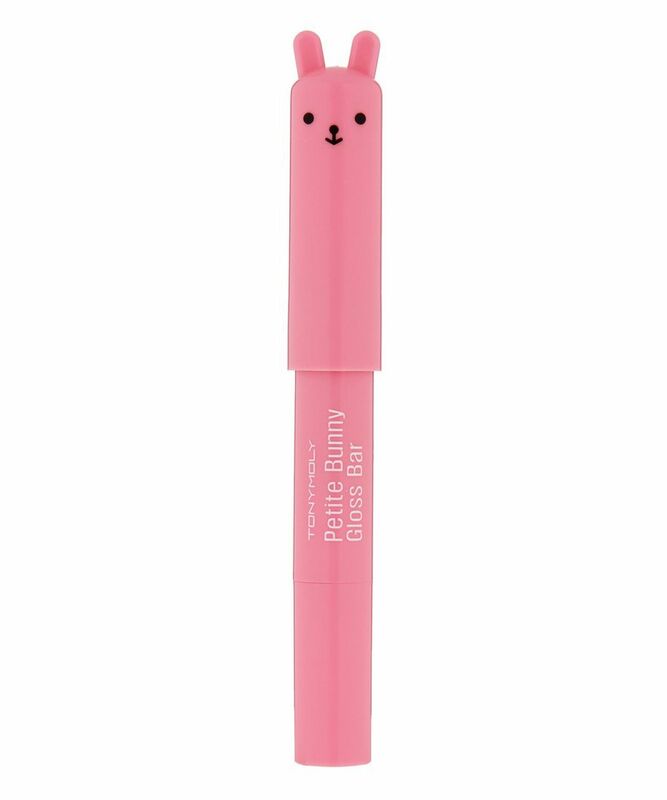 As brilliant as they are covetable, TONYMOLY’s Petite Bunny Gloss Bars each have a different expression – should you need yet another excuse to collect every one… Quirkily cool, these are guaranteed to delight all the girls in your life – irrespective of age – thanks to their serious, South Korean skin care ingredients and not-so-serious exteriors. No handbag is complete without one of these über-cute lip gloss-lip stain hybrids. Each convenient, sheer tint has a distinctive fruity flavour and corresponding colour, to cloak your lips with skin-conditioning ingredients whilst enhancing moisture levels to leave lips super-soft with a subtle, non-sticky sheen. Choose from three, wearable shades (and flavours); #1 Juicy Strawberry, #4 Juicy Cherry or #5 Juicy Peach. Best if applied to bare lips for optimal coverage. Allow gloss to 'set' after application. Polyglyceryl-2, Triisostearate, Triethylhexanoin, Diisostearyl Isostearyl Malate, Caprylic/Capric Tiglycerides, Glyceryl Sebacate D / Iso Palmitate, Ozokerite, Ceresin, Phytostearyl Isostearyl Dimer Dilinoleate, Polyethylene, Glyceryl Ethylhexanoate/Stearate/Adipate, Dipentaerythrityl, Hexahydroxystearate/Hexastearate, VP/Hexadecene Copolymer, Titanium Dioxide (CI 77891), Hydrogenated Castor Oil Isostearate, Synthetic Wax, Wild Berry Extract, Cranberry Fruit Extract, Strawberry Extract, Raspberry Extract, Blueberry Extract, Blackberry Extract, Togopheryl Acetate, Calcium D Phosphate, Sorbitan Isostearate, Ethylene/Propylene Copolymer, Polyglyceryl-2 Diisostearate, Ascorbyl Palmitate, Purified Water, Butyleneglycol, Methyl Paraben, Phenoxyethanol, Butylparaben, Butylparaben, Ethyl Paraben, Isobutyl Paraben, Fragrance, Food Red No.202 (CI 15850:1), Food Red No.201 (CI 15850), Magnesium Violet (CI 77742). Omg this is soooo moisturising and fun and cute and omg 100% recommend. I got this in peach and I love it. I'm a big lip product user and I love Korean brands so I thought I'd give this a go. It's very sheer but still gives a nice colour to your lips. Nice and glossy. Only downside is you don't get much and it runs out quickly because it's a "soft" product. Wouldn't use it daily for that reason but would be perfect for minimal makeup days. It's moisturising but not enough pigment. Very lightly pigmented.